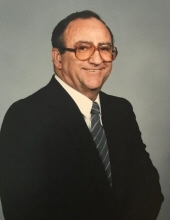 Edward Joseph Landry, of Houston, Texas died peacefully at home, surrounded by his loving family on September 17, 2018. Ed was 87 years old. He was born in Houston, Texas on July 7, 1931. Ed was preceded in death by his parents, A.J. and Catherine Landry and his two brothers, Bobby and Larry Landry. He is survived by Frances Schillaci Landry, his wife of 67 years. Frances and Ed were high school sweethearts. He is also survived by his five children, Diane Villoutreix (Charles), Barbara Janca (Billy), Cherie Krumpholz, Edward “Rusty” Landry, Jr. (Donna) and Johnny Landry (Jenny); 14 grandchildren; 14 great-grandchildren; sister, Kathy Eddelman. Ed attended St. Thomas High School and then entered the United States Marine Corp. After the Marine Corp he worked as a bricklayer with his dad and brothers. Later on he became a general contractor. After his retirement, Frances and Ed became Travel Leaders and conducted group travel all over the world. Ed and Frances have lived in the Westbury community for 52 years. Ed believed in service and volunteering to the church and community. He was involved with Westbury Little League for many years. Ed was also a member of the Knights of Columbus at St. Thomas More. Ed was a founding member of the Streamliners Organization. He was a positive and active force with the Senior Club. The most important thing to Ed after his faith was his family. Even at the end of his life, his family brought him joy with their love and presence at his bedside. He will be truly missed. Our family would sincerely like to thank the teams of medical professionals that worked with Ed over the last 9 months. The VA staff and their resources and the A*Med crisis hospice team that worked with him around the clock this past weekend were instrumental in providing Ed with dignity and a peaceful end to his life. They were also comforting to our family. A Memorial Mass will be held Friday, September 21, 2018 at 11:00 a.m. at St. Thomas More Catholic Church, 10330 Hillcroft St, Houston, TX 77096 with a reception to follow. To send flowers or a remembrance gift to the family of Edward Joseph Landry, please visit our Tribute Store. "Email Address" would like to share the life celebration of Edward Joseph Landry. Click on the "link" to go to share a favorite memory or leave a condolence message for the family.